These colourful durable cards have been designed to encourage students to grapple with geometric concepts while solving Tangram puzzles. Watch as students use their reasoning and problem solving skills to complete these puzzle. Includes helpful hints for working with this type of puzzle, and answers. These cards come in a plastic wallet and have been carefully sorted according to the difficulty level. 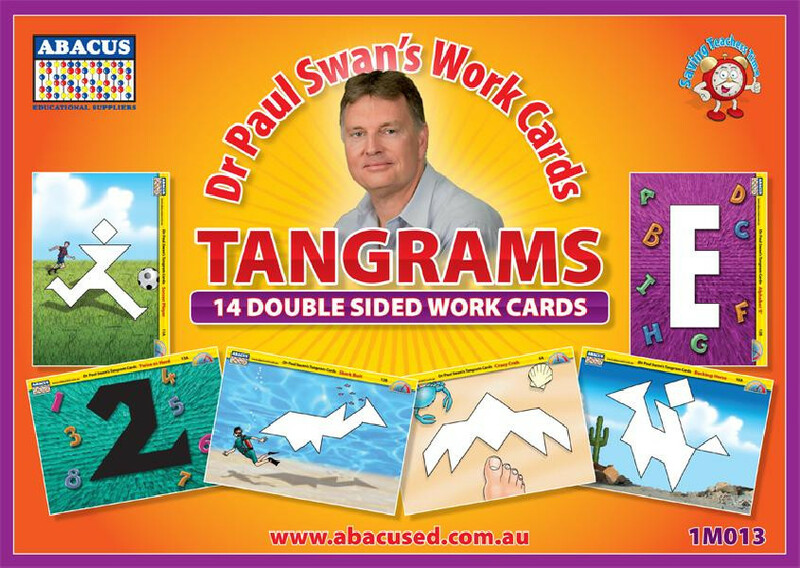 Contains 14 A4 double-sided cards.